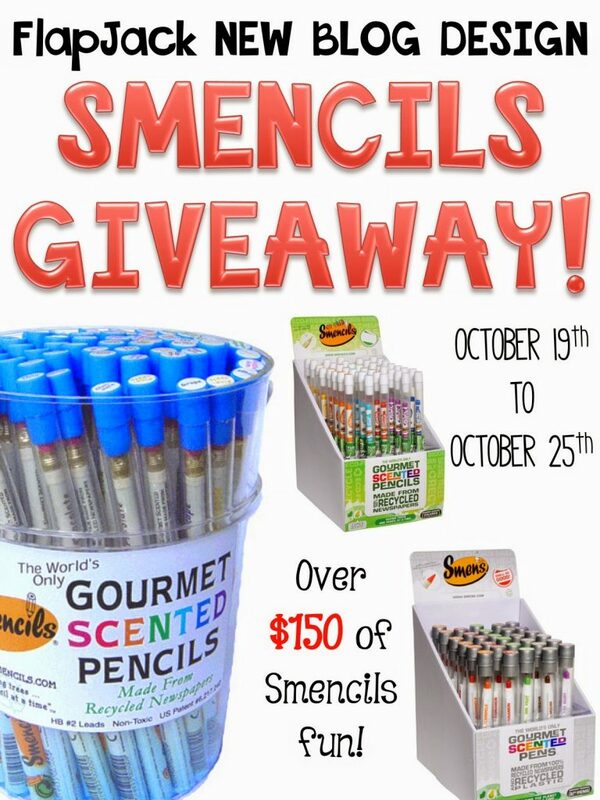 New Blog Design: Smencils Giveaway Celebration! I’ve been saving these three sets 80 Smencils and 30 Smens for a very special occasion which is…my new, fabulous blog design made by the incredible Michelle of The 3AM Teacher! Do you like it? I feel like it’s so totally me. It makes me happy looking at all of the little details Michelle put in. So, now for the giveaway. I have a big box of over $150 worth of Smencils to give to one teacher. If you would like a chance to win this box, just enter the Rafflecopter below! Ends Saturday night at midnight (October 25th). Thanks for entering! ¡Buena suerte! Your blog is beautiful! Congrats on the new design! Thanks for the giveaway! Thank you, Diane! I appreciate that a bunch! Michelle did a fabulous job!